Buying a boat? Your banker, attorney and insurance agent need you to come fully prepared. Purchasing a boat is not like buying a car or a house, although it has elements of both. In addition to acquiring an (often) expensive and mobile asset, you’re dipping your toe into admiralty law, which can hearken back to the rules and regulations of a century ago. Being prepared to answer questions in areas of finance, insurance, and legal details could save you time and money, not to mention serious headaches, down the road. Boat loans today can be for 10-30 years although most loan periods hover around 10-15 years. Major marine lenders specialize by the size of the loan. Some may work with loans of $25,000 while others, like Merrill Lynch, focus on loans in excess of $3 million. “Larger loans like ours employ creative security-based lending that works more like a revolving line of credit,” adds Markow. Lenders need to know the age and value of the vessel. Older boats may require larger down payments or higher interest rates. Today’s rates range from 3-5 percent and loans typically require 20 percent down, although this can vary. The key is to determine if you will be able to sustain the loan long-term with your current and future cash flow. Working with a dedicated marine lender who understands the nuances will provide more options. The size, value, and age of the yacht will dictate which underwriter offers full coverage and the lowest premiums. For pre-owned vessels, you will need a current survey attesting to the condition of the boat and its detailed description. Tenders and personal watercraft need to be added to the policy in case they are involved in an accident resulting in property damage or personal injury. If the boat is financed, the lender will need to be added to the policy. Professional crew will also need to be added in compliance with the Federally mandated Jones Act of 1920, which provides a sort of workman’s comp for those serving at sea. The insurance company will want to know if the yacht will be chartered—with or without crew—and that may affect the premiums and the scope of coverage. Finally, coverage needs to start at the time the vessel is titled to you or your legal entity. If the yacht will be en route from the manufacturer’s factory but is in your possession, you will want it to be insured. One exception may be the availability of cargo insurance that is provided when the vessel is moved via a yacht transport ship. Be sure to ask for details. Legal issues are a combination of the two categories above, and it’s important to complete your due diligence prior to taking possession. Danielle Butler of Luxury Law Group in Florida is very attuned to her clients. “I need to know exactly how they foresee owning, registering and operating their vessel,” she says. First, Butler counsels her clients against private ownership and instead suggests using a limited liability company (LLC) or a full corporation, both of which protect, if not insulate, against liability. James McKenzie of McKenzie Law in Massachusetts adds that ownership via an LLC may have slight tax advantages over a corporation. Second, Butler asks whether the vessel will have U.S. or foreign registry, such as in the Cayman, Marshall or British Virgin Islands. In order for the boat to be registered or “documented” in the U.S., the entity in possession must be at least 75 percent U.S. owned. Butler also needs to know where the vessel will operate primarily, if it is foreign-built and if it will be professionally crewed, since foreign registries have different rules depending on the answers. 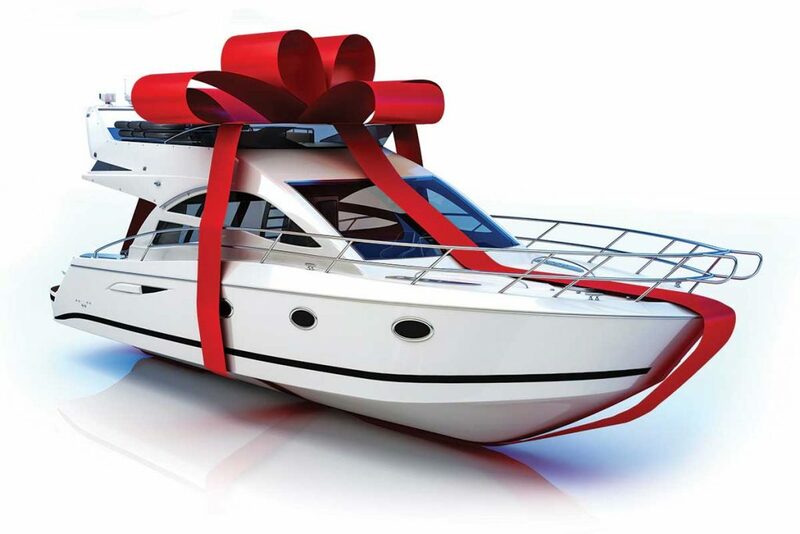 Even details such as whether you will finance the boat or purchase it with cash may impact your registration options. A title search for liens is a must for any vessel, especially one that will be documented in the U.S. A lien is a debt that follows the vessel, not the owner, so you’ll want to discover if the vessel has any issues with outstanding payments to a yard or crew. You can do the search yourself directly with the U.S. Coast Guard, or rely on the expertise of dedicated agencies that provide this service for a nominal fee. In the process, you will also learn if there are any lawsuits against the vessel. Almost all transactions are made with an offer contingent on the completion of a satisfactory survey. McKenzie warns that in addition to the hull, the engines should have a separate survey focusing on things like compression metrics and oil analysis to avoid costly repairs later. “Check with the manufacturer about any recalls on both new and used boats before you sign on the line,” he adds. You may already have relationships with a banker, an attorney and an insurance agent for other assets you own, but consider a marine specialist in each of the above categories, especially if the vessel you are purchasing is expensive, will be chartered or is pre-owned. Referrals from other boat owners or from your broker are best. Once armed with the answers to these questions, you’ll be more than halfway to enjoying the best of boating.